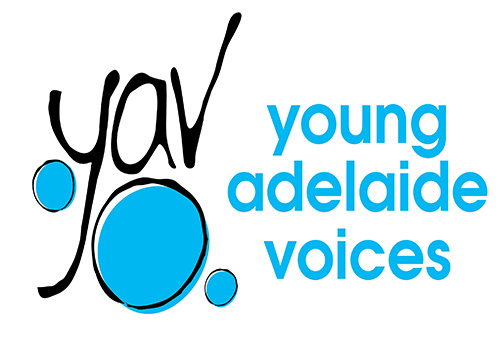 Young Adelaide Voices is a significant South Australian cultural ambassador representing Australia and South Australia in international festivals and competitions. We have been hosted overseas by renowned youth choirs and reciprocated the hospitality here at home, providing enriching and rewarding musical and cultural experiences and maintaining our international choral connections. Our choristers have proudly represented their country and shared their love of singing, in particular contemporary Australian music, at the highest possible standard in prestigious venues from Westminster Abbey and St Pauls Cathedral to Disneyland! Young Adelaide Voices have represented Australia in many international festivals and in their international tour to the USA in 2012, YAV won First Prize in all the Youth Choir sections in the 9th International Golden Gate Youth Choir Festival in San Francisco and a Silver medal in the World Choir Games in Cincinnati. YAV also represented Australia in the Serenade! Festival in Washington DC (including workshops on Australian music) and gave friendship concerts in Fairfield Connecticut and Hamilton, Ohio. Aurora spent three weeks performing in British Columbia and Alberta. As part of the International Choral Kathaumixw Festival in Powell River, BC. They performed in Vancouver, Powell River, Calgary and regional BC – including Vernon, Gibsons, Penticton, Kelowna and Mission and sang with choirs from all over the world! It was through this tour that YAV was invited to attend the 9th International Golden Gate Festival for Youth Choirs in San Francisco, 2012. Hiroshima: Peace Concert with the Radio National Children’s Choir of Hiroshima. England: Staying with Farnham Youth Choir (British Choir of the Year). Belgium: European Youth Choral Festival, involving approximately 96 youth choirs from around the world. Germany: International Children’s Choir Festival, hosted by the Dresden Philharmonic Children’s Choir to celebrate Dresden’s 800th Anniversary.